Science has proven that exercising your brain with work, socializing, or memory improvement games will keep at bay early signs of dementia. 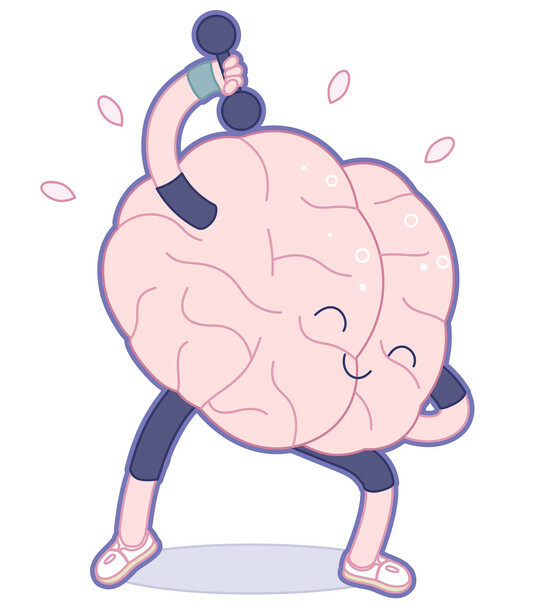 "Brain exercises" —including memory improvement games —that help practice specific cognitive abilities can prevent memory loss. Focus your attention. If you have trouble concentrating, practice focusing on one subject or task for 10 minutes without letting your mind wander. The next day, increase your concentration time to 12 or 15 minutes, gradually building your ability to focus and ignore distractions. Or, challenge your power of concentration by reading a book with the television on. Memorize your favorite poems, or learn to play a new piece on the piano. Lean on others. Ask your friends or family to call or email to help you remember important appointments or tasks. Enjoy memory improvement games. The Internet is a great source for memory improvement games. Keeping the brain stimulated with activities that require concentration and effort has been shown to lower risk for memory loss symptoms in older age. Try to spend 20 or more minutes a day challenging your brain online with memory games for adults, such as those found on luminosity.com or seniorbrains.com. Strengthen your powers of attention. Open a book to a random page and count the number of words without touching the page. If you lose count, begin again until you finish the page. Improve your ability to concentrate by introducing distractions, such as turning on a TV or music. Boost information processing speed. Examine a photograph you have not seen before for one minute. Then turn over the photo and jot down as many details from it as you can remember. As your processing speed improves, shorten the time you spend examining each new photo. Increase your short-term memory. Listen to the Top 10 countdown of popular tunes on your favorite radio station, then try to remember the song titles in order. As your short-term memory improves, try to remember the names of the artists as well. Exercise your capacity to recall information. Read a medium-length article on any subject while making an effort to remember as many details as you can. Put the article aside and write or recite as much as you can of its contents. Then check the original article to see how you did. Take a snapshot: Create a mental “photograph”–a visual record of what you want to remember. Notice as many details as possible—such as that the woman you’ve just met wears her hair in a tight bun, or the car you’d like to buy has all-weather tires. Prepare a speech. Pretend you must describe or explain the information you want to remember to someone else. Rehearsing details—especially out loud—will help fix them in your mind. Sing it. Make up a song or jingle containing the information you’re trying to remember, such as a shopping list. “I need a dozen eggs, and some tissues for my nose. Ground beef, corn on the cob, and wart pads for my toes.” The rhythm and tune of your jingle will help fix the information in your mind so you can recall it more easily later on. Create a vivid mental image. For example, to help you remember to buy firewood and return your book to the library, you might try visualizing a tree growing out of an open book. The vivid image should make your errands easier to recall. According to a new study, older adults who used a brain-training program and memory improvement games that emphasized speed of information processing cut their risk for dementia nearly in half. The research, which was presented at the Alzheimer’s Association International Conference in Toronto on July 24, 2016, is the first to demonstrate that brain training can actually delay the development of dementia. The 2,785 healthy older adults had an average age of 74 at the start of the 10-year study. Participants were divided into four groups: One group participated in memory improving classes; another took a class designed to improve reasoning ability; a third played a speed-of-processing game, and a fourth received no training. The speed-of-processing games required participants to identify objects on a screen quickly, and increased in difficulty with each correct answer. All participants engaged in 10 hours of training in the first year, and a portion of each group returned for four more hours of training over the study period. At the end of the study, researchers looked at dementia rates among the four groups. Results showed that, while participants who took part in mind improvement games appeared to make some progress in the subjects they concentrated on, their dementia rates were not significantly affected compared to participants who received no training. In contrast, those who played the speed-of-processing games for at least 11 hours were 48 percent less likely than the control group to have developed dementia. “We believe this is the first time a cognitive training intervention has been shown to protect against cognitive impairment or dementia in a large, randomized, controlled trial,” the study’s lead author said. The particular speed-of-processing game used in the study is now included in Posit Science’s brain training program, and free versions of other speed-of-processing programs are available on the Internet at www.i3mindware.com/iq-training/gs-training and www.brainturk.com/games. The study’s findings are preliminary, however, and must undergo peer review before they are published in a scientific journal. 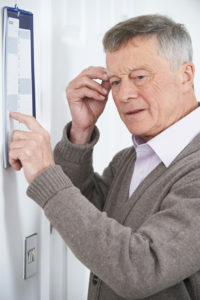 alzheimer, alzheimer s association, brain, brain training, cognitive impairment, corn, dementia, exercise, how to improve memory, improve memory, memory, memory games, memory games for adults, memory improvement, memory improvement games, memory loss, memory loss symptoms, mind improvement, music, short term memory, to improve memory, weather.